By the spring of 1781, British military forces under the able command of General Charles, Lord Cornwallis, were moving north. It was clear that the southern campaign had not gone quite the way it was planned. Though successful initially in South Carolina in 1780 with the capture of Charleston and the subsequent battles of Camden and Hobkirk’s Hill, the British had been handed some setbacks by the end of the year. 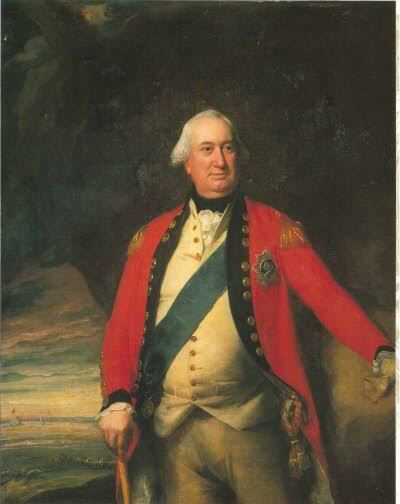 Twice had Lord Cornwallis lost his left wing through defeats at Kings Mountain in October and Cowpens in January 1781. In March, a contentious battle at Guildford Courthouse in North Carolina left the British in control of the field but badly mauled by American forces under General Nathaniel Green. By April, Cornwallis had devised a plan to move north, into Virginia, to conquer that province which he believed would be critical to achieving ultimate success and ending the war in favor of His Britannic Majesty. By June 1781, Cornwallis was in Richmond. Joined by forces under the American turncoat Benedict Arnold and General Alexander Leslie, Cornwallis commanded a fighting force of around 7,000. To counter this threat were fewer than 1500 American soldiers under the young Marque de Lafayette. While encamped near Hanover Courthouse, Cornwallis learned that Virginia Governor Thomas Jefferson and the General Assembly had relocated to Charlottesville, around 50 miles west of Richmond. 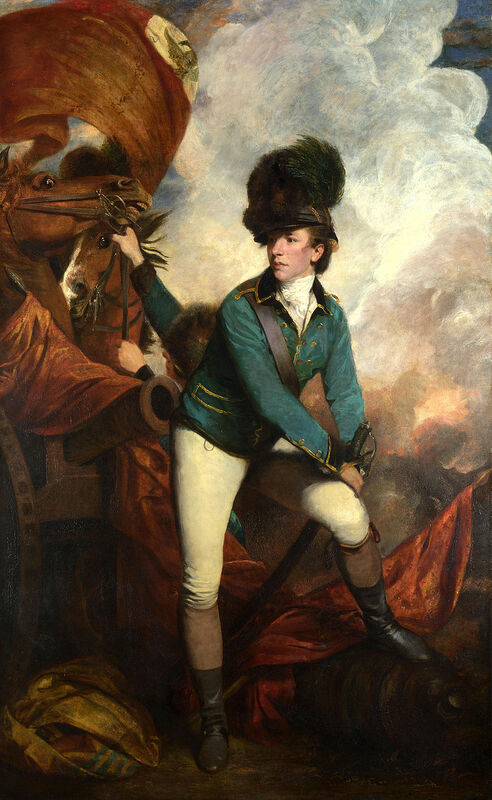 He decided to send the brash Colonel Banastre Tarleton there with a small strike force to bag the whole lot. On June 3, Tarleton’s force set out. Today, as it was 235 years ago, June in Central Virginia is hot and almost unbearably humid. To avoid the extreme heat of the day, Tarleton decided to rest his men and resume the march after dark. His route would take him through Louisa County via modern Route 33. Just before halting for the night, Tarelton passed by Cuckoo Tavern, a small and out-of-the-way place that got its name from the cuckoo clock that once ticked off the minutes inside the tavern. Slumped against the picket fence in the tavern yard, trying to catch some sleep after a long day of work and a few drinks in the taproom, was a local lad by the name of Jack. John “Jack” Jouett, Jr., known as Captain Jack due to the military coat he was fond of wearing, routinely freighted produce from his family’s farm in Louisa to the tavern his father kept in the town of Charlottesville. The Swan Tavern was certainly a going concern and, at that moment, was playing host to several of the lawmakers of the Virginia General Assembly. Captain Jack, 26 years old, had just returned to Louisa after a long round trip to the tavern. Sitting out in the yard that night, he was aroused by the sound of marching feet. He stood and there saw Tarleton’s column moving along to Louisa Courthouse. It wasn’t difficult for Jouett to figure the destination of these midnight marchers and he knew he couldn’t let them get to Charlottesville and capture the government. So once the soldiers had marched past, he saddled up his horse “Sally” and lit out for town. He rode all night, covering the 40 plus miles to Charlottesville ahead of the British. He traveled by narrow, little-used roads under low-hanging tree branches; paths certainly unknown by most save a few locals. By the time Jouett reached Charlottesville, his face and arms were scratched and bloody. 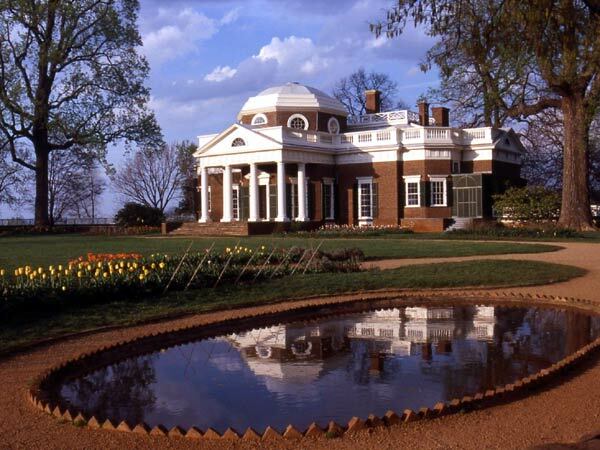 He rode first to Monticello and warned Thomas Jefferson, although Jefferson took such a long time getting himself together that he narrowly escaped capture by Colonel Tarleton’s forces who came trotting up onto the west lawn of Monticello only minutes after Jefferson had finally departed. Jouett went on to his father’s tavern where he warned several of the delegates staying there of Tarleton’s approach. The British were only 3 hours behind Jouett by the time he splashed across the Rivanna River and into Charlottesville. Even with this warning, several of the legislators were captured by Tarleton including a representative from Kentucky County by the name of Daniel Boone. Only a year after his ride, Jack Jouett left Louisa County and moved west to the Kentucky territory where he later flourished as a horse breeder and influential member of society for the rest of his life. Jouett died in Kentucky in 1821. 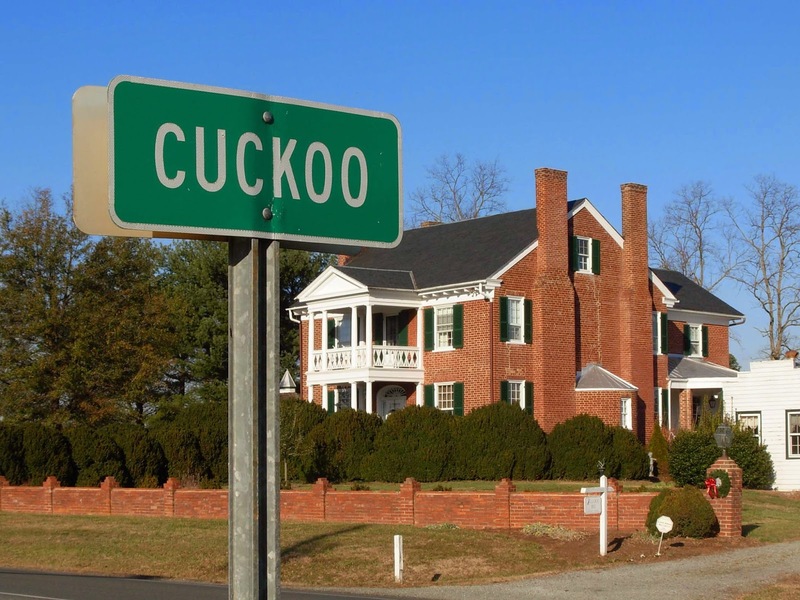 Today, Cuckoo is little more than a dot on a Virginia roadmap. The tavern is long gone; only an empty field now. Across the road stands Cuckoo, the brick, federal style home built by a family of physicians in 1819. Hard to believe that such a quiet place could have once been the scene of such high drama. This article is full of errors. Is there a way to help this author fix it? Thanks for reading. Although I think he was going for a more general overview of the Jouett’s ride, but if you want to reach out to Mark and contribute and assist with the post, send an email to the “contact us” page email and it will get to Mark. Thanks again for reading and following the blog!